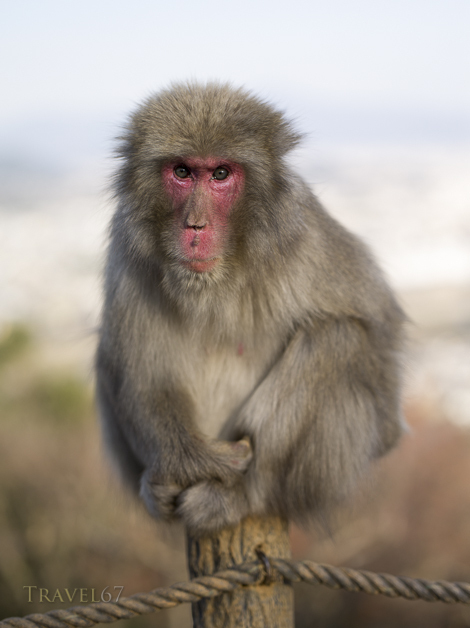 If you can’t make it all the way to the snow monkeys at Jigokudani in Nagano prefecture, you can have a similar experience at the monkey park in Arashiyama, Kyoto. 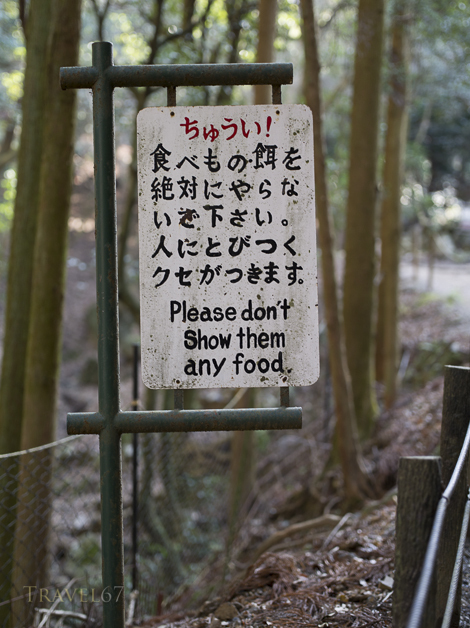 As with Jigokuani, the monkeys here are wild and come to the park for the food supplied by the wardens. 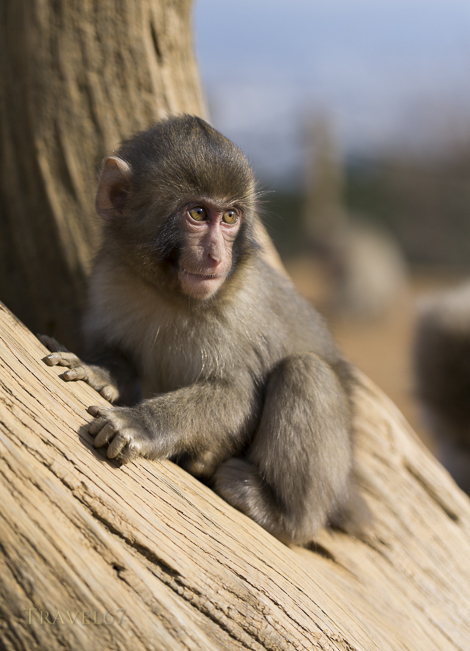 Monkeys that don’t want to be sociable can live out in the forest, but those who don’t mind a bit of human interaction will get a regular supply of grains. The most remarkable thing was that when you see the monkeys pressed up again the wire of a cage it is the humans on the inside. If you go into the rest area hut, you can buy nuts or seeds to feed the macaques. 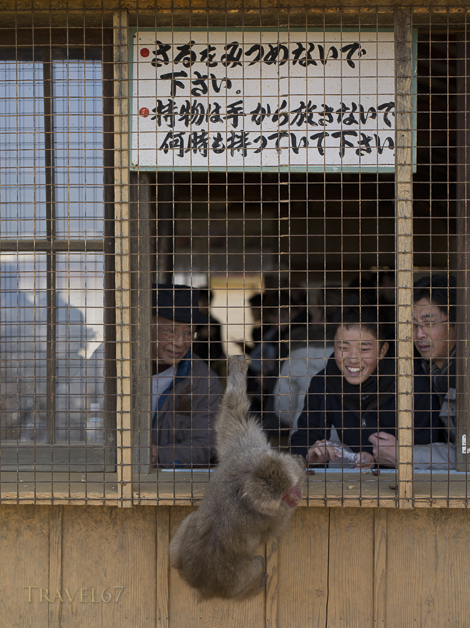 The monkeys then put their hands through gaps in the wire, and you give them the treats. 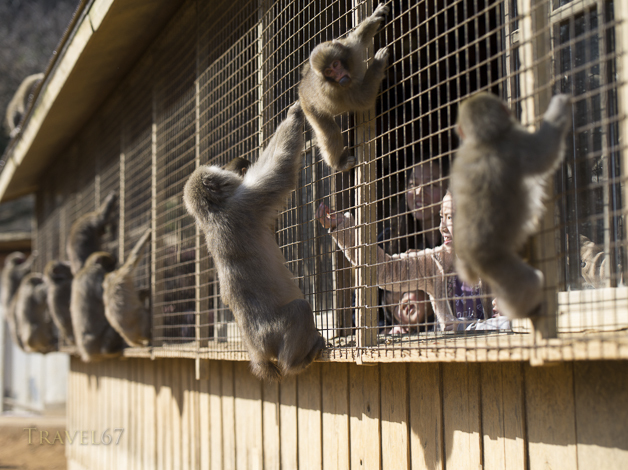 Adults and kids, both monkey and human, were having great fun. 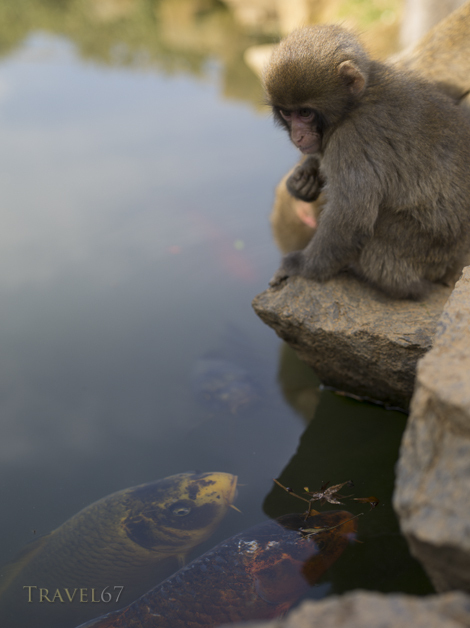 I got a few good shots although it’s tough to beat the images of monkeys in the hot springs. 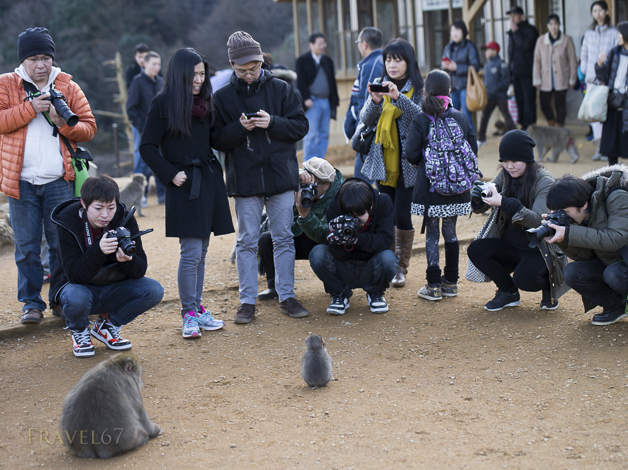 Some of the monkeys however did their best to pose for the paparazzi.